By using PSS DVR software, a computer system can be turned into a great center for surveillance monitoring. The PSS DVR software is compatible with numerous installations, and this makes it easy for those who are trying to switch to the system from a more traditional type of CCTV monitoring. People who are graduating to information technology applications for the first time will certainly be in for a treat, but they won't have to give up any of the things they have become accustomed to with their current devices. By using PSS DVR software, a computer system can be turned into a great center for surveillance monitoring. The PSS DVR software is compatible with numerous installations, and this makes it easy for those who are trying to switch to the system from a more traditional type of CCTV monitoring. People who are graduating to information technology applications for the first time will certainly be in for a treat, but they won’t have to give up any of the things they have become accustomed to with their current devices. The PSS DVR software still provides a multi-camera interface that people who are used to using multi-channel surveillance camera monitors will enjoy. This is especially useful for those who are using a number of IP equipped wireless cameras that are easily hooked into a network. Businesses or facilities that use a large number of these cameras will probably see the biggest improvement over the current equipment. Watching IP cameras with conventional software, or using regular video capture software to record video from them can be a pain at times. Compatibility problems can sometimes plague these conventional software packages, but DVR machines, NVR devices and megapixel cameras that are designed to work with the PSS DVR software won’t have these same sorts of problems. The PSS DVR software has been carefully tested to ensure that it doesn’t have compatibility faults with the hardware designed for the platform. Customers in multiple geographical locations should be able to use the PSS DVR software to their advantage in a number of different ways. Internet protocol connectivity allows for numerous devices to be attached across great boundaries. These devices can be quite varied. The PSS DVR software is designed to manage these devices at any location that they’re connected to. Only devices that are designed to work with the PSS DVR software will be able to interface with it. Therefore, it’s important to purchase equipment from the vendor that supplies the PSS DVR software. NVR machines, IP cameras and digital video recorders that can work with the software will be extremely easy to manage, and this means that it can take over most of the work that would otherwise be left to be done by hand. When the software first comes over, there should be two individual files that look like they could be the installer executable. The setup choice will initiate the installer, and start the setup process. Most users are probably quite familiar with the procedure for installing software. Just about every computer user has done it. For those that haven’t though, it’s really quite painless. The setup is done through a wizard interface, so it isn’t too difficult to work with. The program will prompt users to put in their name and organization. Security is probably on the minds of just about everyone who uses this sort of a program, so some users might question the validity of this question. However, it really is standard procedure and no one should have to make a fuss over it. However, these users should be praised for having so much respect and foresight for security. Depending on the version of operating system one is using, the next question might be extremely important. It will ask if the person installing it will be the only person to have the privilege to run it, or if everyone should be allowed to. System administrators of multiple user installations on machines with more recent operating systems might want to restrict certain people from having a look at the PSS DVR software. The reasons for this should be rather obvious. The path can also be changed for those who have an extra hard drive they want to install to. 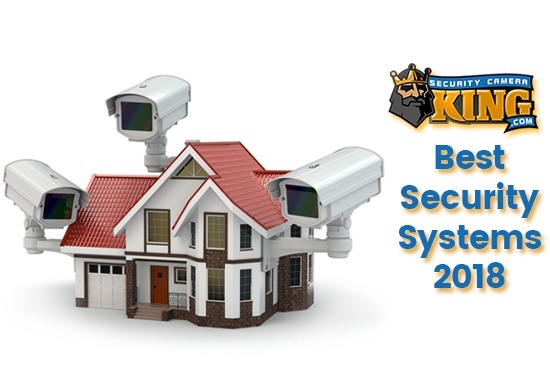 The PSS DVR software will allow users to connect up to 20 different DVR machines, and the program is great for anyone who wants to have a central place to manage all of the various features that these machines offer. It can also be used to organize a matrix for a CCTV system. The days where people need to purchase expensive purpose-built monitors to receive signals from their security cameras. This is an easy way to set up a matrix, and in fact, it might cost less. Traditional cameras that use special cable might require a television set to have a special connector to use them. Multi-channel systems can jack the price up even more. That being said, the computer installation will never have to set users back as much because it’s a tool that they already have. 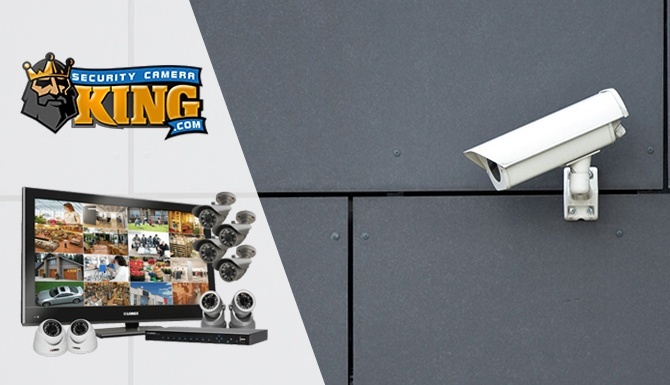 Cameras that have IP networking capabilities can easily interface with the system without any troubles. The new version of the PSS DVR software goes even further than this though. The program supports three screens, so that one can have a main screen as well as two monitors. 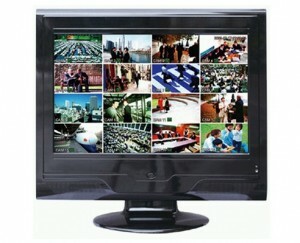 Different cameras can be placed on different monitors so that a large number of DVR machines can be watched at once. This is a major boon for anyone that has to watch a decent number of cameras, and this might be especially useful for those that are working with a remote service. If a particular individual has set up a central monitoring facility, they might have to watch numerous IP cameras from around a large region. They might even have to view video feeds from all over the world. These individuals should be especially pleased at the fact that they can watch so many devices at once. DVR machines can be located in any geographical location, since the Internet takes the place of any hardwired infrastructure. This could also be useful for people who are trying to set up remote web cameras, but this might be looked at as a secondary usage. No one should have to doubt the effectiveness of the PSS DVR software as a quality piece of surveillance technology. Getting back to the topic of installation, once the initial camera configuration is completed, the user can click close. On a computer that runs the Microsoft Windows operating system, the PSS icon should be on the Start Menu. For those who really like to configure their Start Menu files, this is a simple shortcut so it can be moved if one wishes to remove the original program group. Once the program has been opened, it will require a username and a password. The default keyword is admin for both of these fields. Some configurations of the PSS DVR software allow you to remove this screen, while others will allow you to change the username and password to something that other people won’t be able to crack. This is ideal for situations where one might fear a serious inside job or where a person from outside of the organization might be able to gain access to a computer for a period of time. PTZ (PTZ Cameras) directions and other options are on the right side of the screen, and users can reorder the device list. They can change it up, or see all of the DVR machines that are interfaced with the PSS DVR software. There are some presets that can be changed up, if one so wished. For instance, one might be able to move the camera if the device in question were able to do so. Scheduling options can be used to set up specific times to record. To store all of the footage from a particular digital video recorder, one only needs to set up a specialized recoding plan. This is really quite easy. For those that really want to mess with the program, there are even color configurations. This can actually be useful beyond aesthetics, since some color patterns can actually make the windows more visible on certain types of monitors. The settings manager is probably the next stop on most users’ tours. The scheme task list is where different cameras can be opened together. The software will open in four window mode be default. It can open up to 64 cameras at once, however it isn’t recommended. Only powerful computers can do this, but viewing 64 different feeds on a computer that can handle it can be useful for certain situations. It should be noted that the high definition option influences the viewing of images, and not the recording of them. The video can be paused, and various alarms might be configured if they’re necessary. The PSS DVR software is great for those who want to synchronize various examples of footage across various recordings The local recording option is particularly useful for those who want to share or post video. The video is recorded as an AVI file. Just about everyone should be able to play AVI files. In fact, the AVI is an extremely popular format, so there shouldn’t be any need to convert it into any other type of file format. That being said, anyone finds a reason to convert CCTV footage captured from a digital video recorder into another file format, it is extremely simple. There are plenty of tools available for this. Technically, some conversion is already taking place. The PSS DVR software actually saves video in a proprietary format. VAV files aren’t exactly common, since this is the only type of software that really uses them. However, VAV files are easily exchanged into the more portable AVI format. This should illustrate just how simple this conversion process really is. Depending on the way that the rest of the system software operates, users probably shouldn’t find it too difficult to burn DVDs of the footage. That being said, the PSS DVR software’s control over DVR devices should be more than enough footage control for most users. One caveat that people should keep in mind when configuring the PSS DVR software involves bandwidth. When one starts to add IP cameras to the network, the total amount of bandwidth available to the network’s resources will naturally start to decrease. Once a large number of cameras have been added, one might start to notice that there isn’t much bandwidth left for anything else. For this reason, it might be best to carefully decide which order to add cameras in. It is recommended that only network connections that are truly stable and fast should be used in such a situation. Trying to stream this type of video on a low end Internet connection would be painful to say the least. It needs to be stressed, though, that this is not a problem with the PSS DVR software at all. Instead, this is a just a pointer to keep in mind when setting up surveillance systems. The actual software itself keeps a useful list of devices on the network, and this list might even help users to alleviate this slow down. As well as a tool for management, the PSS DVR software is great for those that have had these types of issues in the past. After configuring it, networkers that previously had slow down issues might be able to eliminate them. There are a few automation options that the PSS DVR software provides that one should take a look at before they can consider themselves true digital surveillance masters. The “Log-In All the Devices” option allows every camera and digital video recorder on the network to be logged- in the moment that the PSS DVR software is started. Any particular pop up windows or alarms that need to be displayed will also be displayed. The “Auto Logging PSS” option will or will not require a username and password when configured in different ways. Finally, the “Auto Start with a Record Plan” will star the record plan as soon as the PSS DVR software is up. This is perfect for those who want to run the software when the computer starts. For those who work with the Microsoft Windows operating system, this can be as easy as adding a link to the program in the Startup menu of the All Programs list. This is genuinely how easy it is to work with the PSS DVR software. While some basic computer and networking skills are required, anyone who has configured other Internet software shouldn’t have much of a problem with it.